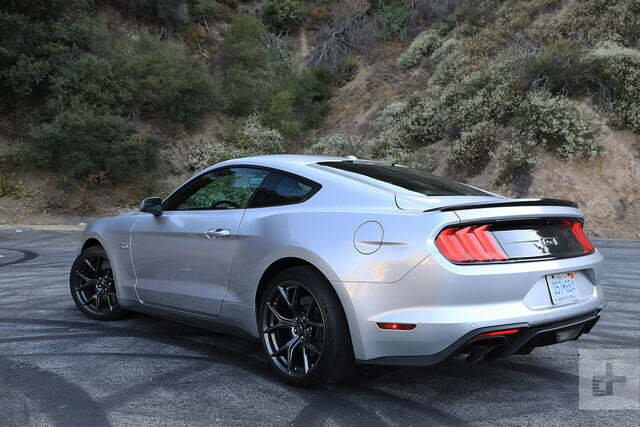 The Mustang GT’s latest track-focused package will delight enthusiasts and annoy Shelby GT350 owners. 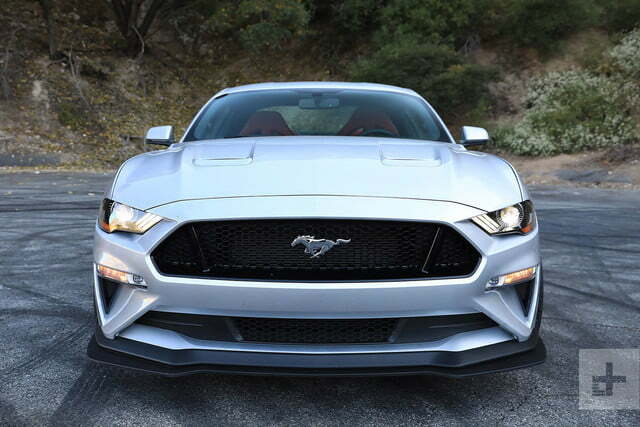 Since 2014, Ford has continually honed the Mustang GT into an increasingly refined driving machine, chipping away its reputation as simple, straight-line brute to reveal a multi-faceted performer. 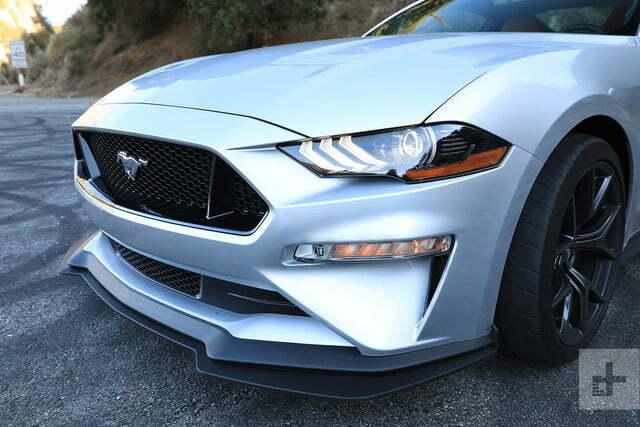 Those efforts were most notable with the debut of the Shelby GT350 and the limited production GT350R, models which elevated the Mustang from a muscle-bound coupe into a capable track weapon. 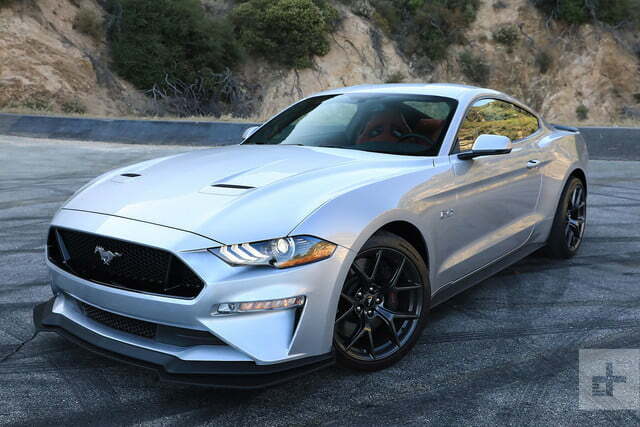 Although enthusiasts who opted for a GT rather than one of the Shelby models could still get some factory-equipped road course hardware on their Mustangs by checking the box for the Performance Pack, the gap between GT and GT350 remained substantial. And while the updates applied to the 2018 GT narrowed that chasm to a tangible degree, Ford was clearly aware that there was still room to improve. That improvement comes in the form of the new Performance Pack 2, a collection of handling upgrades that may seem minor on paper, but work wonders out on the tarmac. The Level 2 package brings all the upgrades from the original Performance Package to the party, which includes more powerful six-piston Brembo front brakes with revised ABS tuning, tweaked stability control software, a Torsen limited-slip rear differential with 3:73 gearing, chassis stiffening, and an upgraded radiator, along with handful of new tricks. Tick the $6,500 option on the order sheet and you’ll get all of the above plus a track-tuned adjustable MagneRide suspension system with a lower ride height, beefier front and rear sway bars and stiffer springs, a new front splitter and rear spoiler, plus a set of unique wheels wrapped in bigger tires that widens the contact patch by 1.5 inches at all four corners. 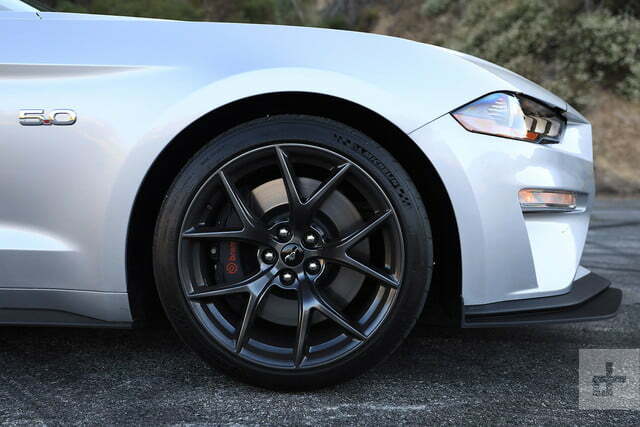 The tires are Michelin’s ultra-sticky Pilot Sport Cup 2s, the same high performance shoes you’d find on European super sportscars like the Porsche 911 GT2 RS and the Mercedes-AMG GT R.
Get a Performance Pack 2-equipped Mustang GT out on a good stretch of road and any minor annoyances melt away in an instant. 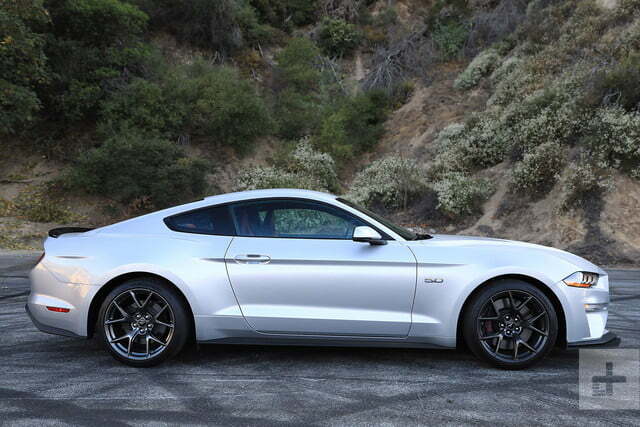 But the Mustang GT Performance Pack 2’s key competitor doesn’t come across the pond. No, this rivalry is homegrown, and it comes in the form of Chevrolet’s own track-focused package for the Camaro SS, the 1LE. 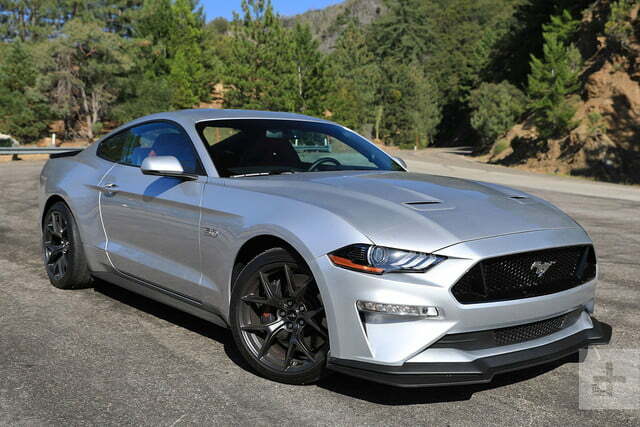 While a 2018 Mustang GT coupe starts at $35,095, an example outfitted with the Premium package, Performance Pack Level 2, navigation, active performance exhaust, and Recaro sport seats (as our tester was) raises the bar of entry to $51,185 with destination. 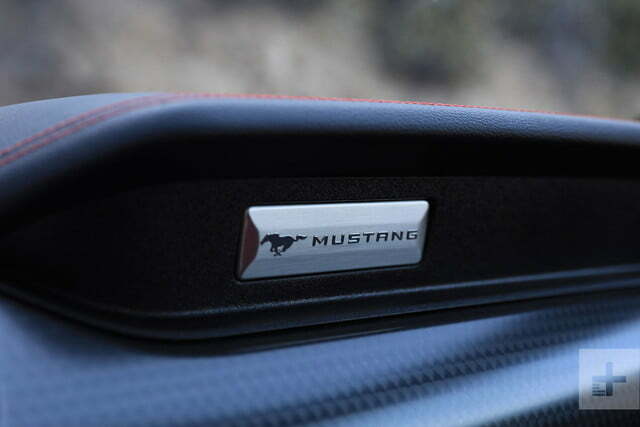 Inside the cabin, Performance Pack 2 Mustangs are essentially identical to a standard Mustang GT. 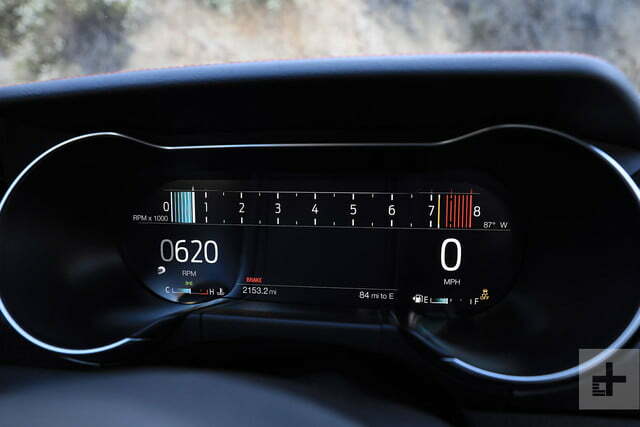 That’s not a bad thing though – the new-for-2018 digital dash is sharp and useful, and the overall appointments are handsome, and there’s just enough of an aesthetic nod to the Mustang’s heritage to make the interior unmistakable for any other car. 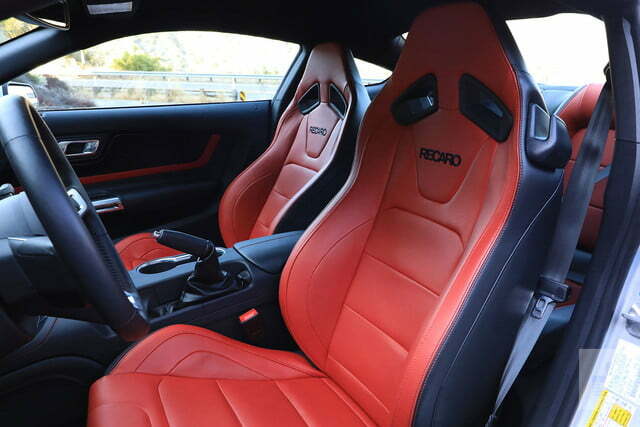 The $1,595 optional Recaro bucket seats look fantastic, too, and they’re comfortable to boot. Although you’ll give up some adjustability and luxury features like heating and ventilation to get them, they’re essentially mandatory for a car with this much lateral grip. 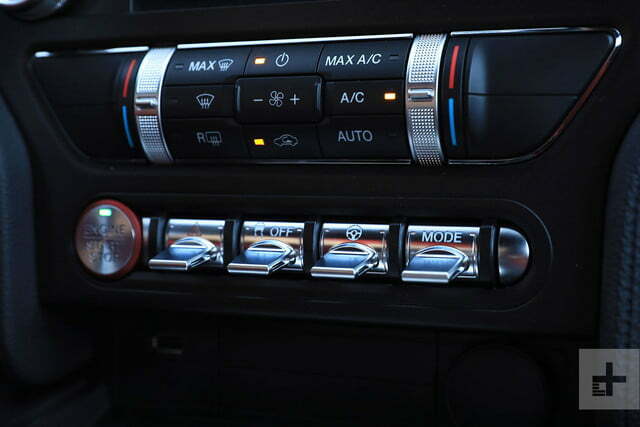 While the Mustang offers four distinct drive modes to choose from (normal, sport, track, and snow/ice) it’s disappointing that the various adjustable performance parameters can’t be mixed and matched to create a custom preset. 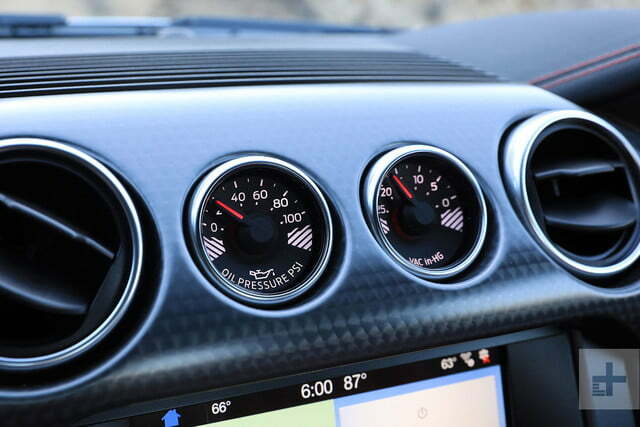 You can’t, for instance, pair the normal suspension setting with the track exhaust setting, so sport mode becomes the default compromise, and likely the mode that enthusiasts will use the most. 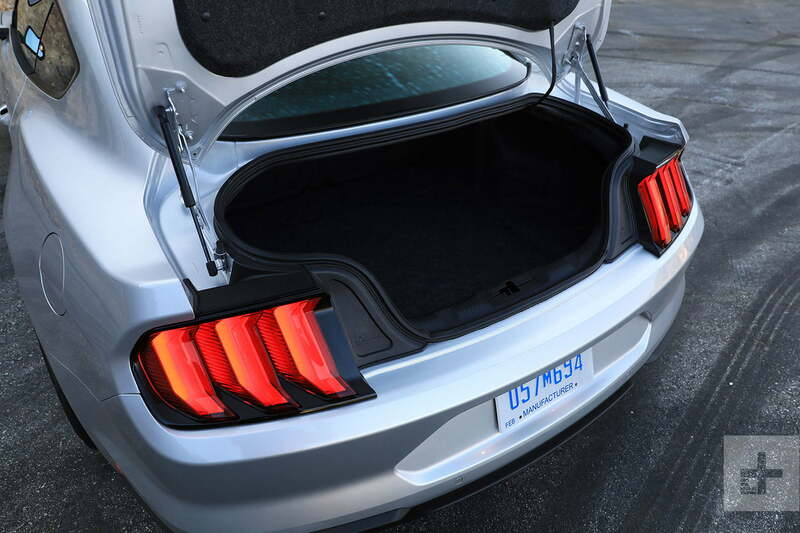 Get a Performance Pack 2-equipped Mustang GT out on a good stretch of road and any minor annoyances melt away in an instant. While the components that comprise the package clearly work in concert, it’s the new rubber and widened stance that immediately impress the most. 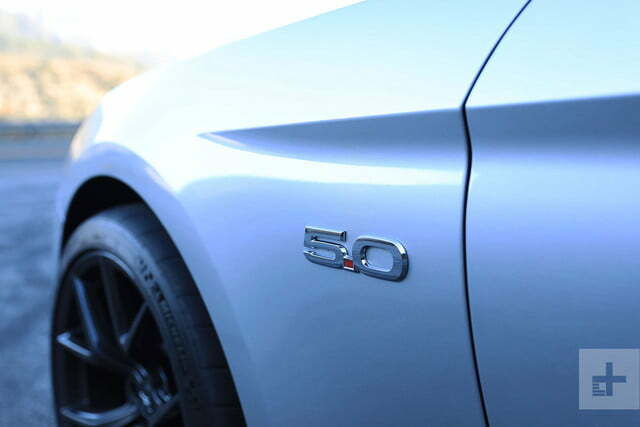 The larger footprint and stickier compound improves performance from nearly every measurable aspect, launching harder, stopping quicker, and cornering with significantly more confidence that we’re used to in a Mustang GT. Like the GT350R, the big shoes tend to tramline in grooves in the road, but not nearly to the same degree as the top-dog Shelby. Smoky burnouts and tail-happy drifts are still available for those who purposely seek them out. Set the drive mode to normal and even with the aggressive suspension tuning, the adjustable dampers relax substantially, making our tester as docile to drive on pockmarked city streets as a garden-variety GT. Ratcheting up to sport mode curtails body motions noticeably with only a slight hit to ride compliance, while track mode introduces a planted, sure-footedness to the GT that’s been previously unseen from the factory. That extra capability makes utilizing the 460 horsepower that’s generated by this five-liter V8 an easier task, though smoky burnouts and tail-happy drifts are still available for those who purposely seek them out. Like all current Mustangs, toggling between the modes could be a more elegant affair though – while the switchgear looks cool, its one-way operation forces you to cycle through the different settings in one direction. So, if you want to go from, say, sport down to normal, you need to cycle through track and snow/ice to get there rather than simply pressing the button down once to switch. That may seem like a minor complaint, but without the ability to create a custom setting, you may find yourself flipping through those modes more than you’d expect. 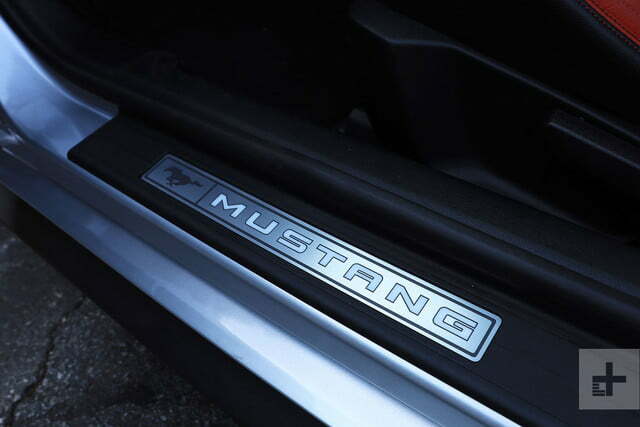 Ford offers a three-year, 36,000-mile bumper to bumper warranty on the Mustang GT, along with five years/60,000 miles of powertrain coverage and roadside assistance. 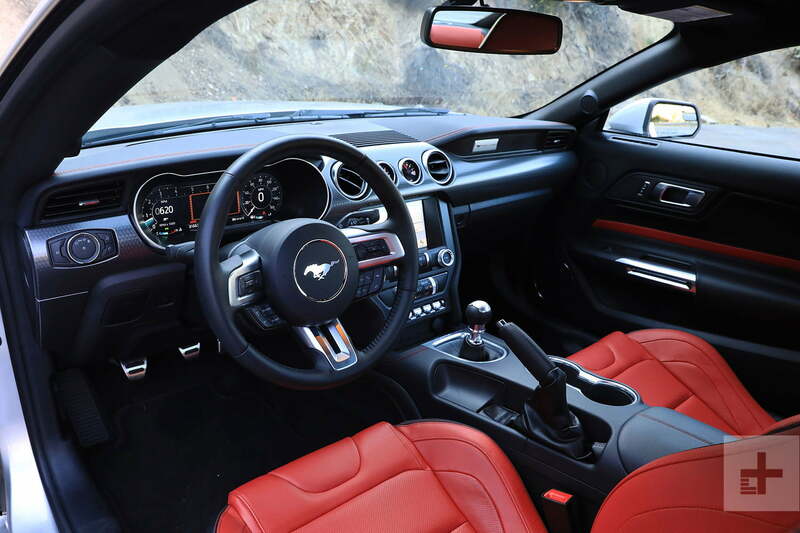 One of the most endearing aspects of the Mustang over the decades has been Ford’s commitment to providing a wide range of options to suit the preferences of just about every would-be driver. For enthusiasts who plan to hustle this coupe around the race track or their local autocross course, Performance Pack Level 2 delivers. 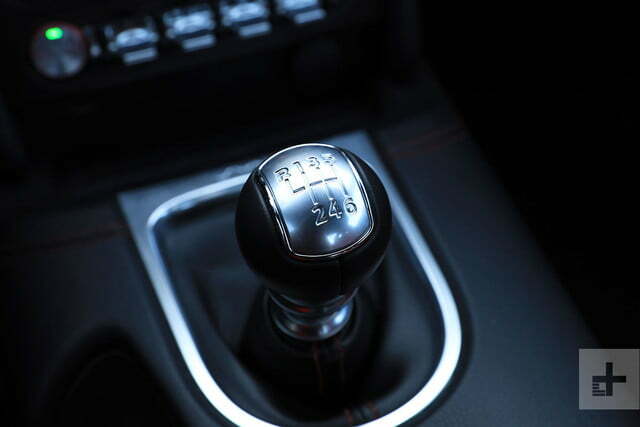 The package may be overkill for those who’re just looking for a fun, V8-powered coupe though, and it’s worth noting that Performance Pack 2 is only available with the six-speed manual transmission. With this much grip on tap, we’d consider the Recaro seats to be a wholly worthwhile expense. The Coyote V8’s banshee wail at its 7,500-rpm redline demands to be heard too, so the active exhaust system would be on our shortlist as well. 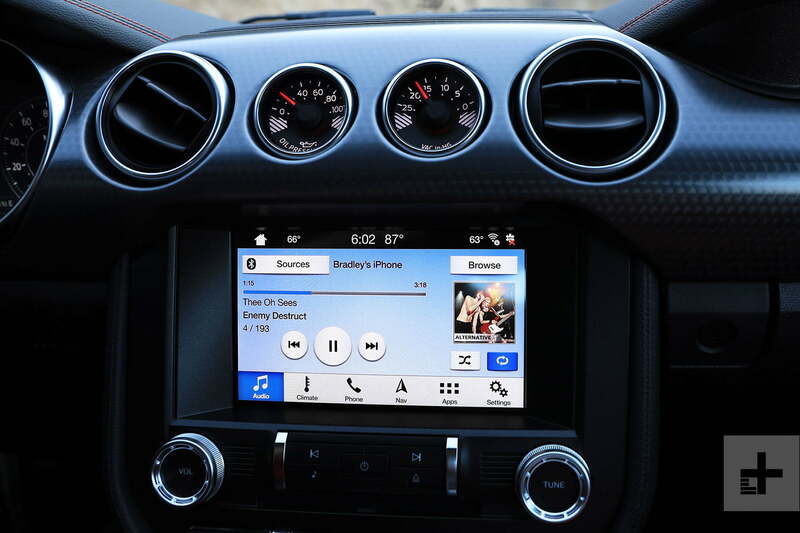 With Apple CarPlay and Android Auto compatibility on board as standard, we’d skip the optional navigation and put that money toward the available Bang & Olufsen premium audio system instead. It’s clear that Performance Pack 2 is successful in its mission to bring the GT closer to parity with the Camaro SS 1LE. Determining which of the two pony cars is a better fit for a particular driver is a murkier affair, though. The Camaro is smaller and easier to manage at pace but it lacks the outward visibility of the Mustang and is a less practical machine in everyday use. The more difficult decision for would-be buyers might come from within Ford’s own stable. At $51K as equipped, there isn’t much coin distancing buyers from a GT350, which starts at $55,940. 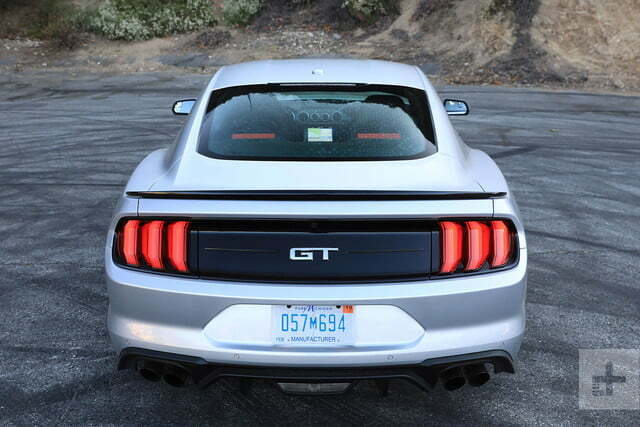 But as a daily-driven performance car, a Performance Pack Level 2-equipped GT is arguably the better buy. 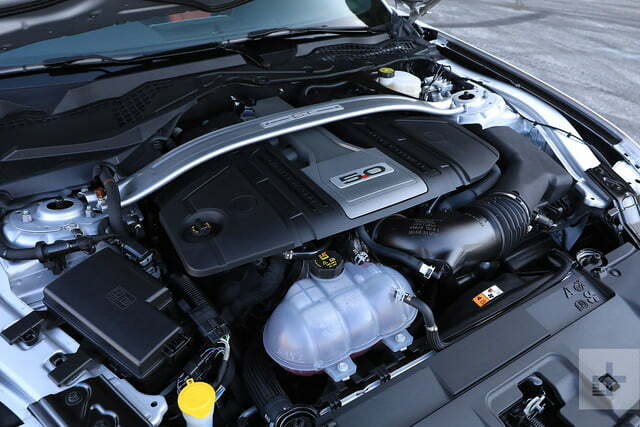 It’s more compliant, the Coyote V8 engine makes more torque down low, and the gap in performance is so minor that, at this point, aesthetic preference could be the deciding factor for many.